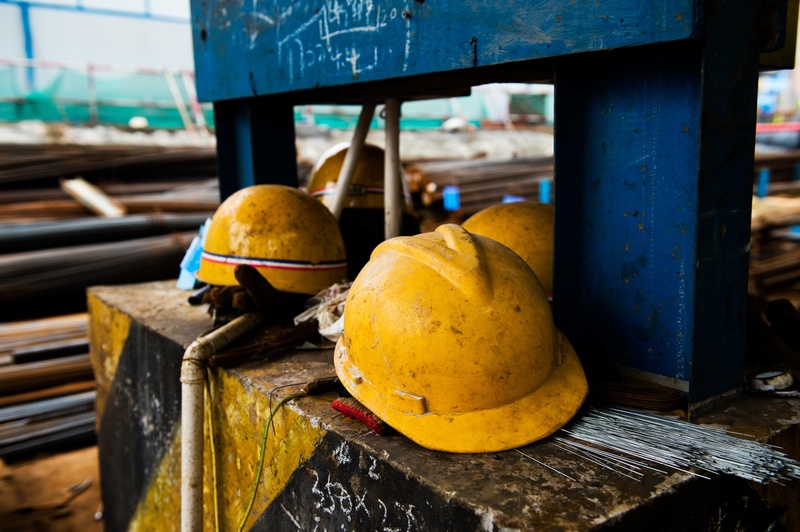 Hard hat safety is something you need to consider for every industrial worksite. It doesn’t matter what your job title is. If you work construction or are stationed at an industrial facility, odds are you’re gonna need something to protect your noggin. When most people think of head protection, the first thing that comes to mind are hard hats. And they should. Hard hats are a very important type of head protection. But they aren’t the only type. 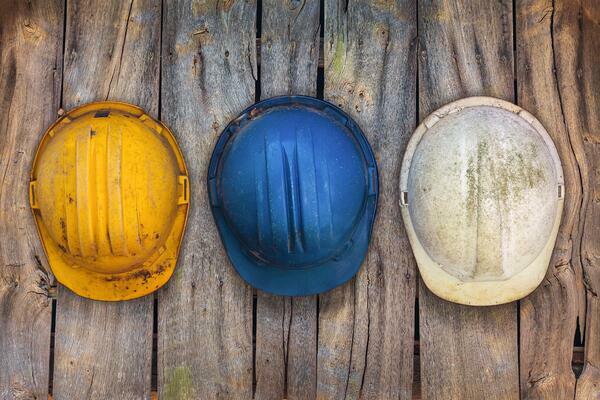 Let’s review the different kinds of head protection you might need on the jobsite. We’ll answer your questions and get you back to work. What are the Different Kinds of Head Protection? Notice that the language OSHA uses here is “helmets”. That includes the use of either hard hats or bump caps. Hard hats tend to be a bit larger and more durable. They are tested to withstand heavier impacts. Bump caps on the other hand, are used when there are fewer hazards to the employee. They’re typically used on job sites that don’t have the potential for flying or falling objects. Bump caps protect workers in tight spaces that could “bump” their head on something or in areas that are tight and have low clearance. Both hard hats and bump caps must be tested and approved by the American National Standards Institute, or ANSI. There are a number of accessories you can add to jazz up your look! Come on, admit it. Safety and high fashion go hand-in-hand. Welding shields provide UV protection. They keep the employee’s eyes safe from damaging rays that could result in vision loss. 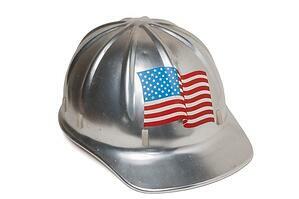 Most welding shields attach directly to the wearer’s hard hat. They snap right in. Another option is welding goggles. Instead of covering and protecting the entire face, they only protect the user’s eyes. These can be a good option for quick, minor welding jobs. There are a lot more head protection options than just hard hats. Consider what’s important for your team and your workplace. 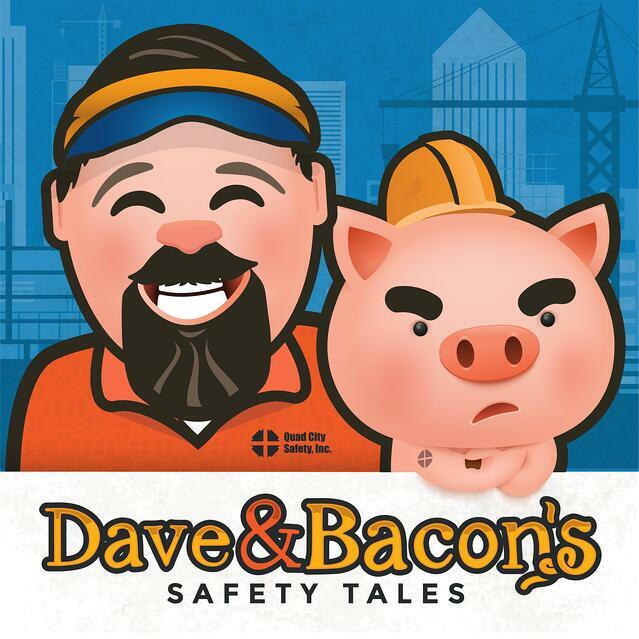 Let’s move on to some of the questions you and your employees might have about hard hat safety. Can I wear my hard hat in reverse? 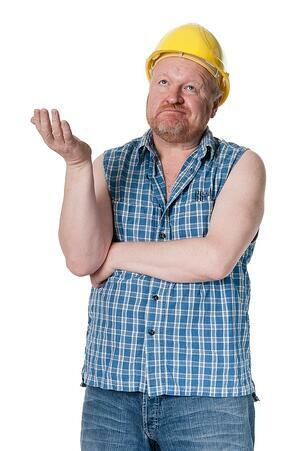 It’s not uncommon to see someone walking around a jobsite with his hard hat on backwards. We get it. They aren’t the most fun thing to wear. Maybe you wanna look cool. But here’s the thing — you shouldn’t be ashamed, or embarrassed to wear a hard hat! Just remember, that you’re not the only one wearing it. Nobody is going to point and laugh at you and say, “Hey, there goes Steve wearing that dorky hard hat again!” Because they’re all wearing one, too. At least they should be! And, if they’re going to laugh, it’ll probably be about the relish stuck in your beard. Sometimes though, people have legit reasons for wanting to wear their hard hat backwards. During welding jobs, for example. A welding shield doesn’t fit properly when a hard hat is worn like it’s supposed to. A lot of people will turn their hard hat around backward to make the welding shield fits better. So is that allowed? The answer is maybe. * You have to check with the manufacturer. In order for the practice of wearing hard hats backward to be compliant, the hard hat must be ANSI certified to be worn in that direction. * OSHA Standard 1926.100(b) states: Helmets must meet the requirements of ANSI standard Z89.1-1969, Safety Requirements for Industrial Head Protection. * Previously, ANSI didn’t use to test hard hats in the backward position. So, anyone wearing them that way would be in automatic violation. But now, the ANSI standard addresses the reverse wearing of protective helmets. As long as the hard hat has been tested and approved for reverse wear, it’s perfectly acceptable to wear a hard hat backward. Just make sure you do your homework. Reach out to the manufacturer and find out if your hard hat has been tested in the reverse orientation. It should be labeled or marked to show reverse donning capability. Better yet, invest in a hard hat / welding shield combo that’s specifically designed to both for welding and head protection. These combo options are going to be much more comfortable for your crew anyway. And, that’s a good thing because they’ll have less to whine about! Is it true that it’s “illegal” to put stickers on a hard hat? A lot of companies hand out stickers for employees to place on their hard hats. Does yours? It’s not uncommon. Some best practices for sticker usage is to identify trades, training or tenure. There have been disputes over the years on whether or not this is “legal”. Technically, there is nothing in the OSHA or ANSI standards that strictly prohibit the use of stickers on hard hats. So no, it isn’t illegal. But, you’ll want to check with the manufacturer about this. Some say it’s fine, some say absolutely not. If they say you can go for it, just make sure you follow the manufacturer’s strict guidelines for placement. So where did this overarching myth against stickers come from? According to a statement on the OSHA website, “the employer's ability to comply with the existing requirements of [helmet] standards may be adversely affected by the painting or placement of adhesive stickers on the helmet's shell”. What they’re saying is, it might be difficult for you to verify the integrity of your hard hat when it’s covered in stickers. * You’re supposed to do periodic maintenance and inspection of your protective hard hats. It’s a key component of hard hat safety. Cracks and damage could render the hard hat unsafe for use. Stickers could cover up such defects (intentionally or not), making it difficult to determine the reliability of the hard hat. Adhesives found on some stickers can degrade the shell of the hard hat as well. * If an OSHA inspector shows up on your site, there isn’t a specific “sticker standard” he can cite you for. 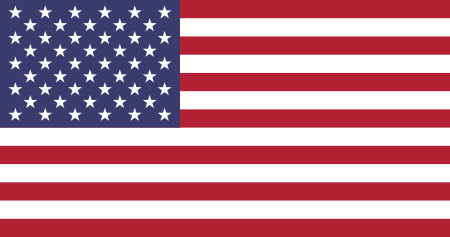 However, don’t forget about the general duty clause. If the inspector has reason to believe that the stickers are covering up defects, it’s possible you could receive a citation. How often should I replace my hard hat? This is another question that only the manufacturer can answer. Follow the manufacturer’s recommendations. Keep in mind that you can always go above and beyond those recommendations. For example, some companies have a strict “every three years” or “every five years” policy for replacement. 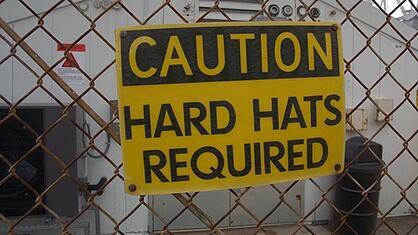 Your hard hat safety program should specify when it’s time to replace them. But, you should always replace them after an impact. OSHA gives you a lot of leeway on this one. As with most PPE requirements, so long as it isn’t damaged or defective, you can continue using it. Just use your noggin, a damaged helmet makes as much sense as lipstick on a pig. Doesn’t do a lick of good. Look, head protection is an important piece of personal protective equipment. We can all agree on that. But don’t forget, that you should never rely on PPE alone. It’s simply there to protect against the unknown, the unplanned, the acute hazards. For a more detailed discussion about chronic vs. acute hazards and how to protect against them, we’ve got ya covered there too!. Go check out our podcast Growing Up, Not Growing Old.